Better late than never, right? So we'd like to share another Christmas related post. 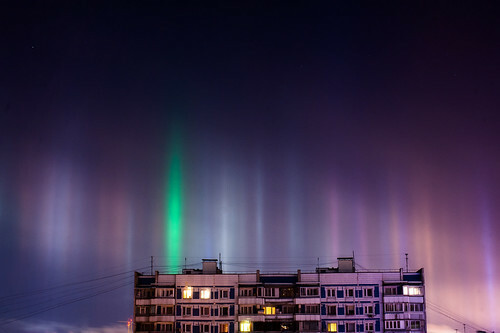 On Christmas, beautiful light pillars appeared in the sky over Moscow. 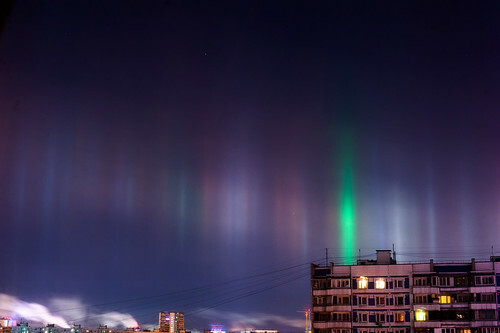 Muscovites have witnessed this rare natural phenomenon right on Christmas Eve.